Sotheby’s will offer Vincent van Gogh’s Still Life, Vase with Daisies and Poppies in its Evening Sale of Impressionist & Modern Art in New York on 4 November 2014. Painted at the home of Dr. Paul Gachet just weeks before the end of Van Gogh’s life, the artist uses the richly- colored bouquet of wildflowers to convey his psychological state at the time – a hallmark of the Expressionist icon. The resulting composition teems with the intense energy, emotion and sensitivity of this creative genius at the height of his short but renowned career. Still Life is one of the few works that Van Gogh sold during his lifetime, and is one of only a handful of great works by the artist to appear at auction in recent decades. The painting comes to auction this November with a pre-sale estimate of $30/50 million. Still Life will be on view in the Hong Kong Convention & Exhibition Centre from 2–5 October and in Sotheby’s London galleries from 12–18 October, before returning to New York for exhibition in Sotheby’s York Avenue galleries beginning 31 October. Vincent van Gogh painted the present work in June of 1890 in Auvers-sur Oise, the town where he settled following his release from the asylum at St-Rémy that May. Renting a room at the local Ravoux Inn, he spent his days setting up his easel in the fields to paint the scenes of the lush countryside, as well as visiting with his physician, Dr. Gachet. Still Life was painted at Dr. Gachet's house and presumably came immediately into his possession upon completion. The viewer can imagine Van Gogh walking through the fields on his way to Gachet's, gathering up armfuls of poppies, daisies, cornflowers and sheaves of wheat to squeeze into one of the doctor’s modest vases. In comparison with the more reserved and academic still-lifes that he had completed in Paris in the mid-1880s, the present work evinces a dramatic shift in Van Gogh’s painterly style, characterized by a frenetic energy. 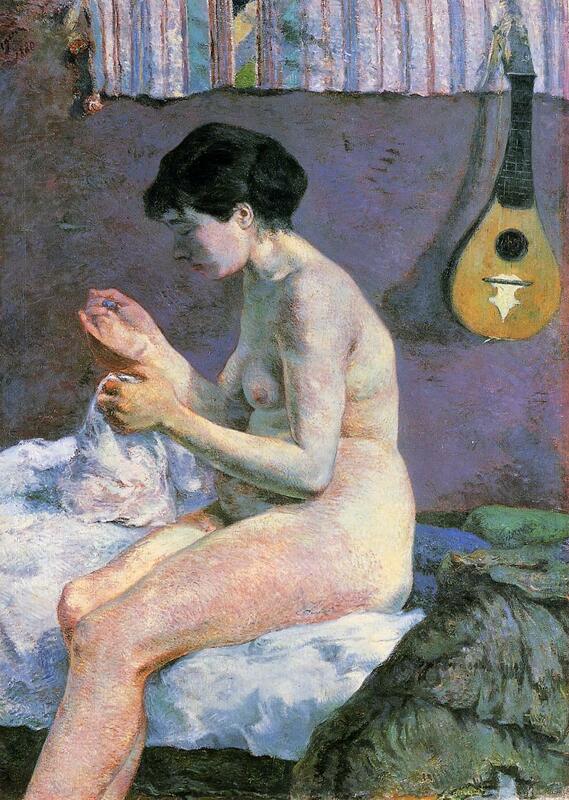 The artist was flooded with anxiety in Auvers, and this agitation spilled over onto even his most optimistic canvases. It is in these same fields that Van Gogh would attempt to take his own life, only weeks after painting this work. Whether Van Gogh gave Still Life to Dr. Gachet in exchange for medical consultation is unknown, but he was certainly dependent upon his brother Theo for money and art supplies at the end of his life. Van Gogh was eager to show his brother – an art dealer – that he could support himself, and he believed that his still lifes would be the most saleable of his compositions. Still Life is one of the very few paintings sold during Van Gogh’s lifetime. 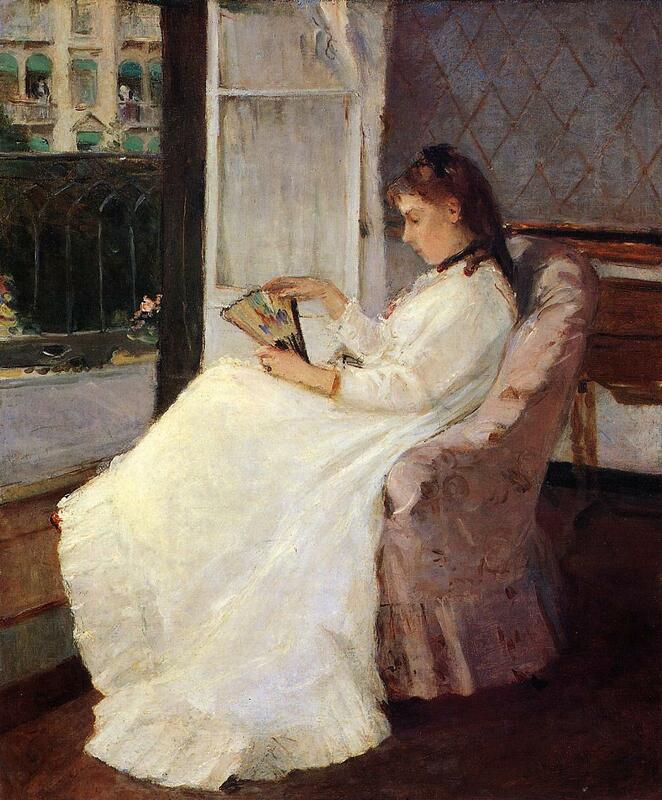 It was acquired by Gaston Alexandre Camentron, a noted collector of Impressionist pictures, who eventually sold it to Paul Cassirer Gallery in 1911. Still Life remained with a series of private collectors in Germany until the mid-1920s, when it made its way to London and eventually to New York – one of the earliest works by the artist to enter the United States – where it was sold by the Knoedler Gallery in 1928 to A. Conger Goodyear. Known as one of the principle founders of the Museum of Modern Art, Goodyear kept this work in his family's private collection. It was eventually gifted in part by the Goodyears to the Albright-Knox Art Gallery in Buffalo, where it was on display for over 30 years before it was sold at the request of the family. 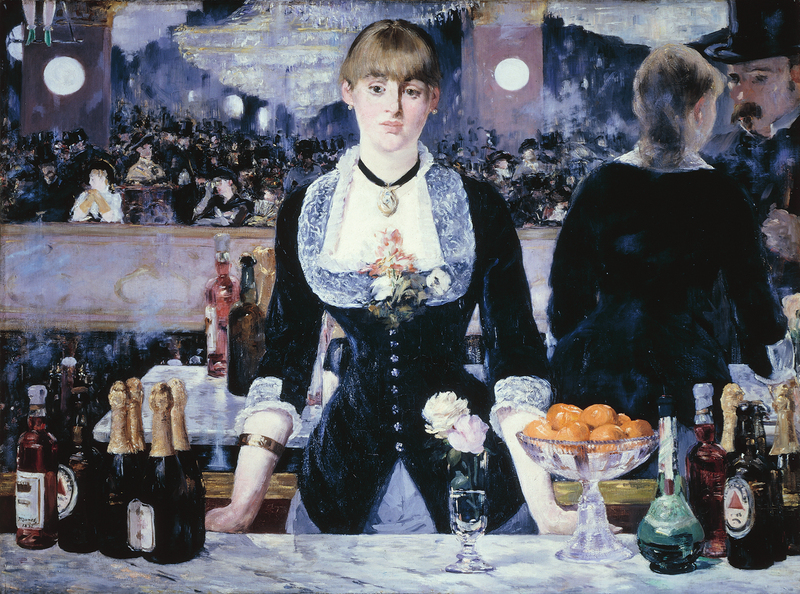 The exhibition brought together over 45 wonderful paintings and drawings by Manet, Monet, Renoir, Morisot, Degas, Cassatt, Gauguin and Pissarro, on loan from public and private collections throughout Europe and the United States of America. 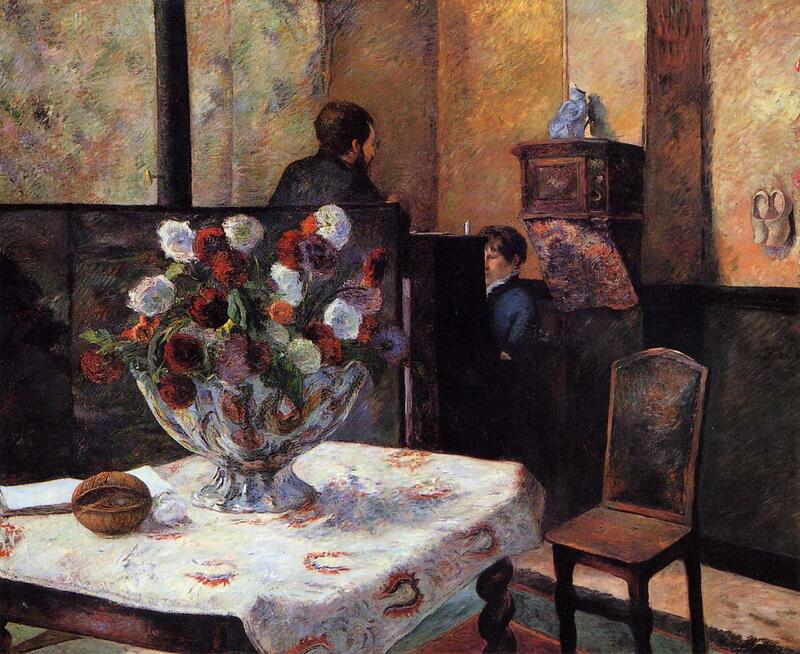 It was the first serious survey of this particular dimension of Impressionism, and will show some of the many and varied ways in which Impressionists and artists within their circle engaged with interior spaces both public and private, domestic and social. 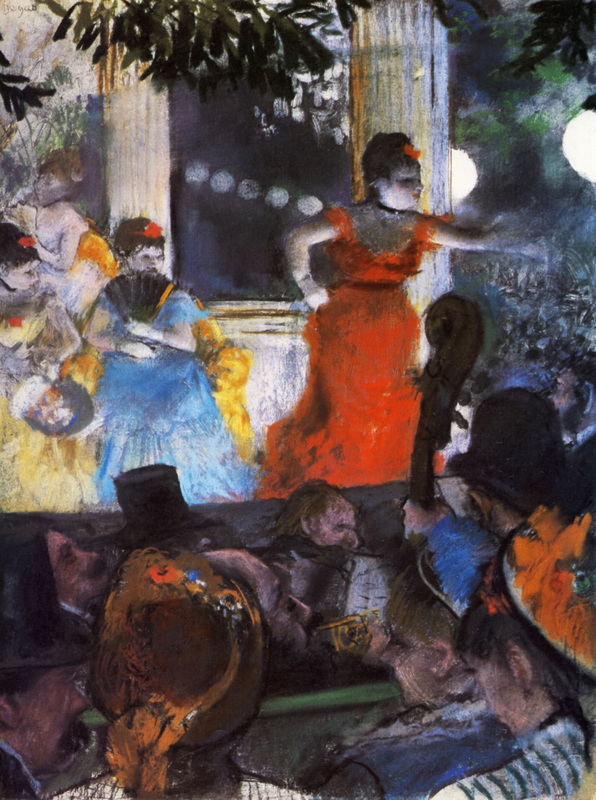 'Café Concert at Les Ambassadeurs' (Museum of Fine Arts, Lyon). 'The Little Dreamer' (Odrupgaard, Copenhagen). 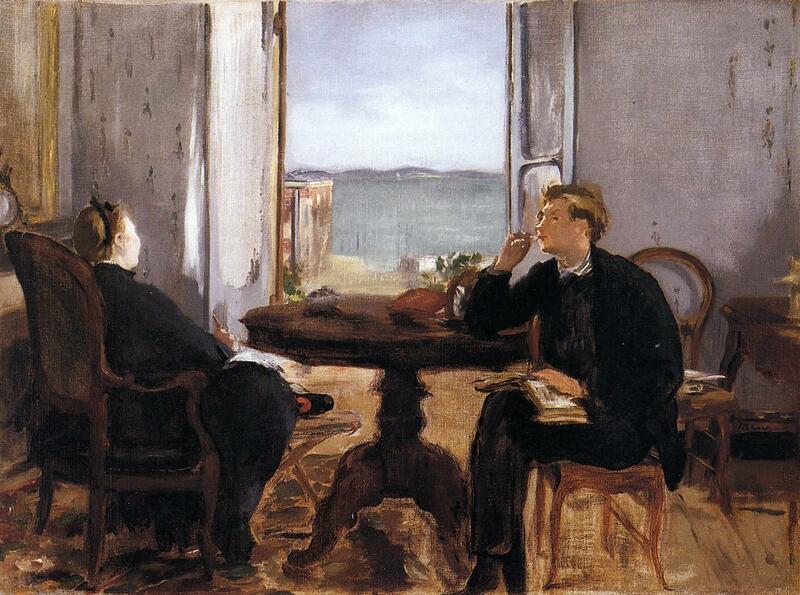 'Interior at Arcachon' (Sterling and Francine Clark Art Institute, Massachusetts). 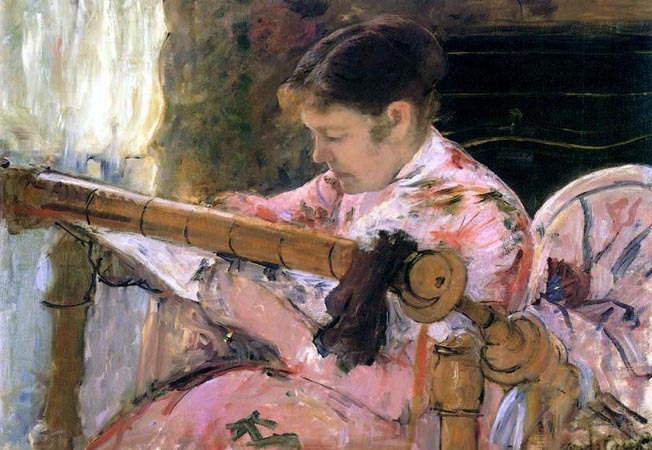 Mary Cassatt, 'Lydia at a Tapestry Frame' (Collection of the Flint Institute of Arts, Flint, Michigan). 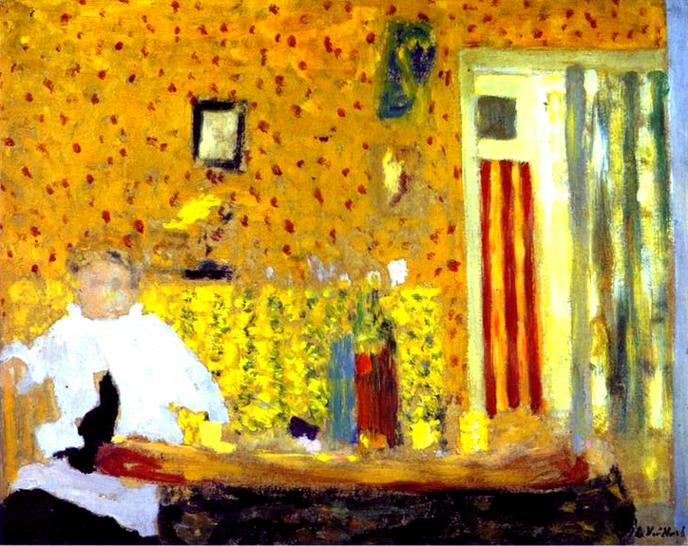 Edouard Vuillard (After The Lunch). 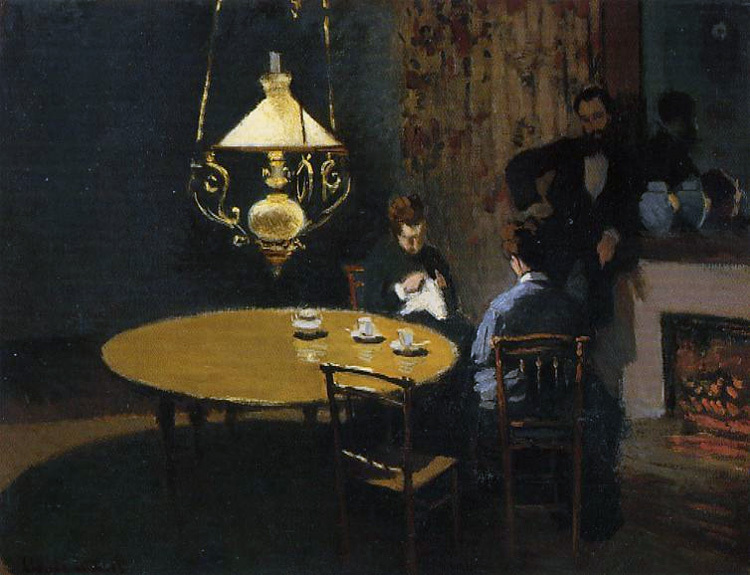 Also featured were some lesser-known artists who engaged with interior views, among them; Zacharie Astruc, Henri Gervex, Frédéric Bazille and Federico Zandomeneghi. From rosy pink and jubilant yellow to bright blue to sombre black – face one of the vast canvases created by Mark Rothko (1903-1970) and you feel yourself being sucked into his world. Constructed layer upon shimmering layer, his colour fields are of unparalleled intensity and communicate universal human emotions such as fear, ecstasy, grief and euphoria. Rothko was an intensely committed painter who invested his whole being in his art and, like many other great artists, led a difficult life. Deeply disillusioned by the two world wars and plagued by depression, he was a tormented soul, yet capable of producing great art with an enduring capacity to comfort and enthral. These days, exhibitions of the American artist’s work are huge crowd-pullers and his paintings fetch record sums at auction. Rothko owed his worldwide fame to the ‘classic style’ painting’ he adopted in the 1950s. Interaction with the viewer was of great importance to Rothko. He felt that, for both the artist and the public, an overwhelming emotional experience was the most sublime form of inspiration, bordering on the spiritual. ‘The people who weep before my pictures are having the same religious experience I had when I painted them.’ Rothko was not the first abstract artist to attach importance to the spiritual aspect of art; artists like Mondrian and Kandinsky had also seen their work as a spiritual exercise. But he was the first to give pride of place to emotion, at a time when abstract art was still fairly impersonal. In addition to a host of Rothko’s ‘classic style’ paintings, this exhibition will include examples of the rather less frequently exhibited early work. Recent research on Rothko’s transitional period shows that he moved towards full abstraction via a kind of Fauve-like Realism and a highly personal form of Surrealism. As home to the world’s greatest collection of work by Mondrian – an artist renowned for the unequalled lucidity of his own path towards abstraction – the Gemeentemuseum Den Haag is the ideal place to show the development in Rothko’s work. Although Rothko was dismayed when one art critic called his work ‘blurry Mondrians’, he was indeed to some extent influenced by the Dutch artist. Speaking with his use of colour in mind, Rothko went so far as to say that Mondrian was the most sensual artist he knew. The exhibition spotlights both the similarities and the differences in the artistic development of the two leading first and second generation pioneers of abstract art. It also throws light on the differences between European and American abstract art, in particular in terms of format and composition. Mark Rothko (born Marcus Rothkowitz) was of Russian Jewish origin but grew up in America from the age of ten. Nothing in his background or family seems to have predestined him to become an artist. Indeed, he discovered his bent for painting only relatively late and more or less accidentally. He took some courses but always regarded himself as essentially self-taught. The last years of his life were overshadowed by mental health problems. His palette became ever darker and more sombre. In 1970 he took his own life. The exhibition is accompanied by a lavishly illustrated catalogue containing essays by Joost Zwagerman, Franz-W. Kaiser, Harry Cooper and other writers. The book includes an interesting interview with art historian Henk van Os, who was a regular visitor to Mark Rothko’s studio during the final months of the artist’s life. Three world-renowned paintings by Dutch 17th-century masters, Vermeer, Fabritius and De Hooch, were the focus of a special exhibition in the Beit Wing of the National Gallery of Ireland from 14th February until 24th May 2009.
the National Gallery of Ireland's, 'Woman Writing a Letter with Her Maid' (c.1670) by Johannes Vermeer. All three paintings were produced at the height of artistic prosperity in the Dutch city of Delft. Celebrated for their depictions of daily life, these artists are acknowledged masters in the rendition of light, perspective and spatial illusion. Fabritius' small panel painting 'The Goldfinch' was painted in the last year of the artist's short life, and has become one of the most iconic images of the Dutch Golden Age. It was shown alongside De Hooch's celebrated painting 'The Courtyard of a House in Delft', considered one of the artist's most accomplished works in capturing natural light and linear design. Complementing these two paintings was the Gallery's masterpiece by Vermeer, 'Woman writing a Letter with her Maid' which is one of just 36 extant paintings by the artist. the famous American Regionalist painting by Grant Wood, is on display at the Cincinnati Art Museum for the first time from Aug. 30 through Nov. 16, 2014. The masterpiece joins Wood’s Daughters of Revolution in the exhibition, Conversations around American Gothic. Daughters Freedom and the Brush: American Painting in the 1930s. Eight classic examples of American Regionalism, an art movement that depicts small town America and the rural Midwest from the late 1920s through the 1930s, by Iowa native Wood and his friends and associates, John Steuart Curry of Kansas and Thomas Hart Benton of Missouri, are on display to encourage visitors to consider what these works meant in their own time and what they mean today. In between the World Wars, isolationism led Wood, Curry and other painters to reinvent American art by examining scenes from daily life in the United States. 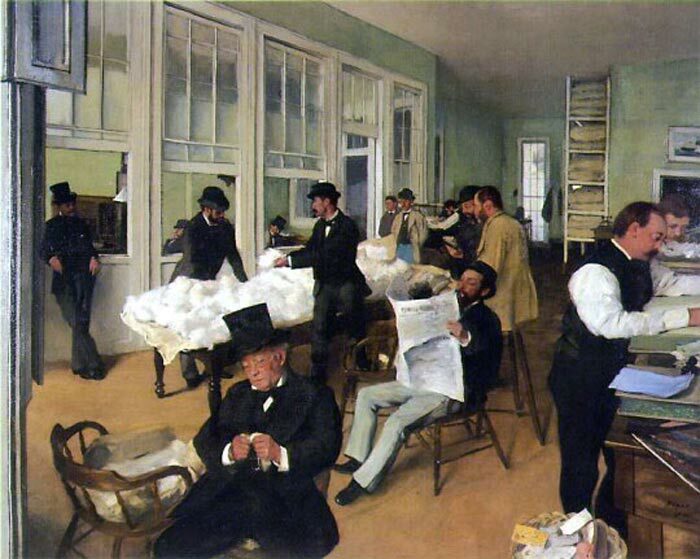 Rejecting abstraction as too “European,” they adopted realism as a national style with a revered history. Collectors and writers then catapulted these artists to fame. Through comparisons of these paintings of the American heartland, this exhibition aims to stimulate lively conversation about stereotypes, nationalism, urban versus rural life, humor versus sincerity and shifting definitions of “realism.” This exhibition also will engage visitors in debates about why a painting of a steadfast farm couple standing before a Gothic Revival cottage became the most widely recognized American painting of all time. a satirical condemnation of patriotism. Wood painted this work in response to the Cedar Rapids chapter of the Daughters of the American Revolution, who had ignited a controversy over the German fabrication of stained glass windows that he had designed. The exhibition includes not only Wood’s full-scale preparatory drawing but also an impression of the engraving that appears in the background. This engraving, Washington Crossing the Delaware, is one of the most celebrated images of George Washington, created after the painting by the German-born artist Emmanuel Leutze. Contemporary critics and patrons touted Curry's and Benton's works for representing essential truths about the Midwestern experience. 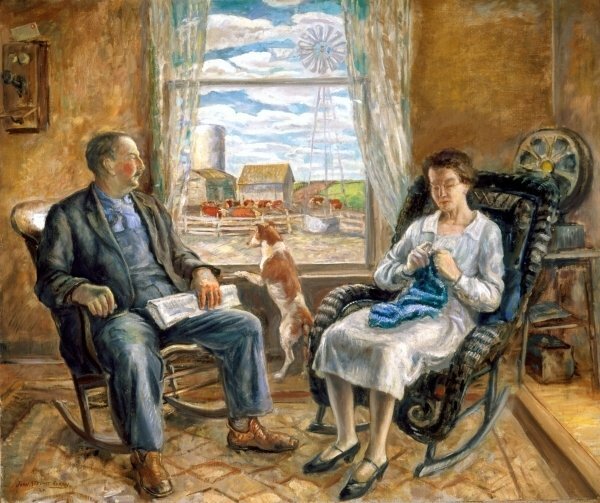 acquired by the Cincinnati Art Museum in 2002, portrays the artist’s parents in their cozy home looking over the family farm that they would lose during the Great Depression. dramatized the farmer’s struggle against the elements and the heroism of ordinary Americans, recurrent themes in Regionalist paintings. Benton’s rhythmic composition Cradling Wheat (Saint Louis Art Museum) celebrates the beauty in hard, outdoor work. After the exhibition here, the much-in-demand "Daughters" will travel to St. Louis, return home for a short time, then rejoin "Gothic" in Chicago in 2016 for a major exhibition, "Freedom and the Brush: American Painting in the 1930s." That exhibition will then travel to Paris and London. This fall, the Museum of Fine Arts, Boston (MFA), presents Goya: Order and Disorder, a landmark exhibition dedicated to Spanish master Francisco Goya (1746–1828). The largest retrospective of the artist to take place in America in 25 years features more than 160 paintings, prints and drawings—offering the rare opportunity to examine Goya’s powers of observation and invention across the full range of his work. The MFA welcomes many loans from Spain and throughout Europe, including 21 works from the Museo Nacional del Prado in Madrid, along with loans from the Musée du Louvre, the Galleria degli Uffizi, The Metropolitan Museum of Art, the National Gallery of Art (Washington) and private collections throughout Europe and the US. to his drawings of lunacy, the works on view demonstrate the artist’s fluency across media. On view in the Museum’s Ann and Graham Gund Gallery from October 12, 2014–January 19, 2015, the MFA is the only venue for the exhibition, which is accompanied by a publication revealing fresh insights on the artist. As 18th-century culture gave way to the modern world, little escaped Goya’s penetrating gaze. Working with equal prowess in painting, drawing and printmaking, he was the portraitist of choice for the royal family as well as aristocrats, statesmen and intellectuals—counting many as acquaintances or friends. 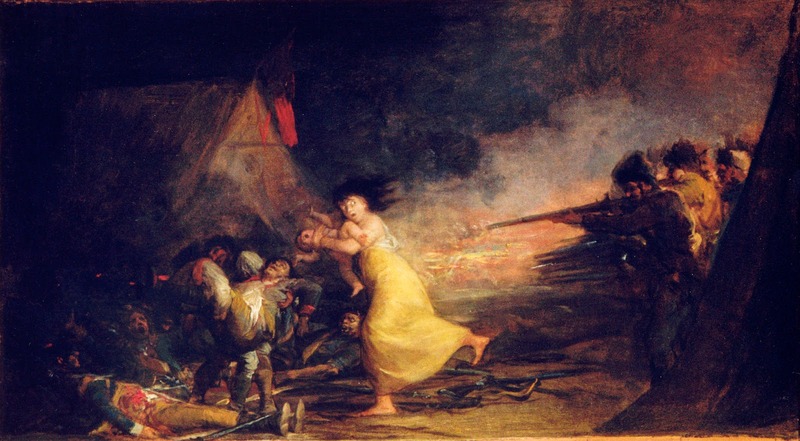 Living in a time of revolution and radical social and political transformations, Goya witnessed drastic shifts between “order” and “disorder,” from relative prosperity to wartime chaos, famine, crime and retribution. 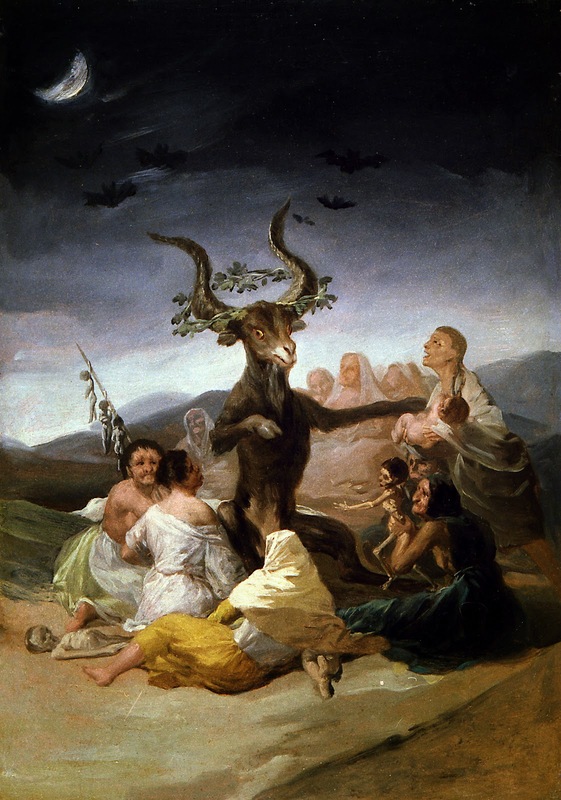 Witches' Sabbath(1797–98, Fundación Lázaro Galdiano, Madrid). 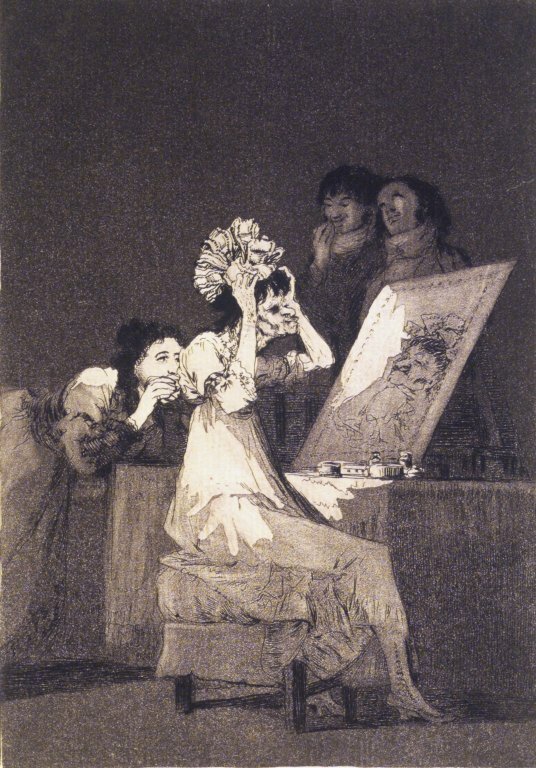 The full arc of Goya’s creativity is on display in the exhibition, from the elegant full-length portraits of Spanish aristocrats that first brought the artist fame, to caustic drawings of beggars and grotesque witches, to his series of satirical etchings targeting ignorance and superstition, known as the Caprichos. Rather than a chronological arrangement, exhibition curators Stephanie Loeb Stepanek, Curator of Prints and Drawings, and Frederick Ilchman, Chair, Art of Europe and Mrs. Russell W. Baker Curator of Paintings, grouped the works in Goya: Order and Disorder, and its accompanying publication, into eight categories highlighting the significant themes that captured Goya’s attention and imagination. From tranquil to precarious, Goya’s art made the diversity of life, and the conflicting emotions of the human mind, comprehensible to the viewer—and to himself. 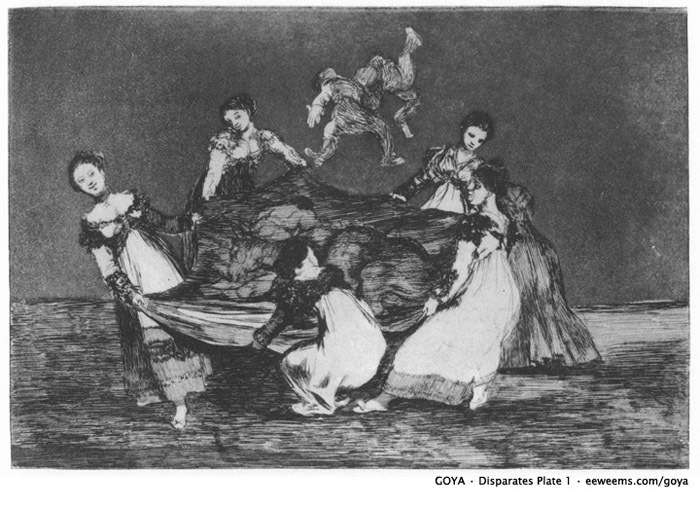 “We decided to juxtapose similar subjects or compositions in different media in order to allow visitors to examine how Goya’s choice of technique informed and transformed his ideas, since the characteristics of each medium—and the intended audience—influenced the final appearance of the work,” said Stepanek. 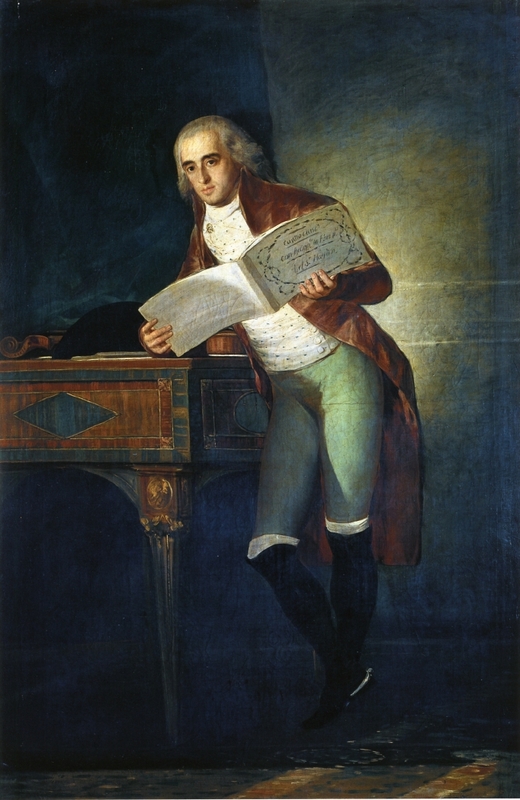 Self-Portrait while Painting (about 1795), from the Museo de la Real Academia de Bellas Artes de San Fernando. 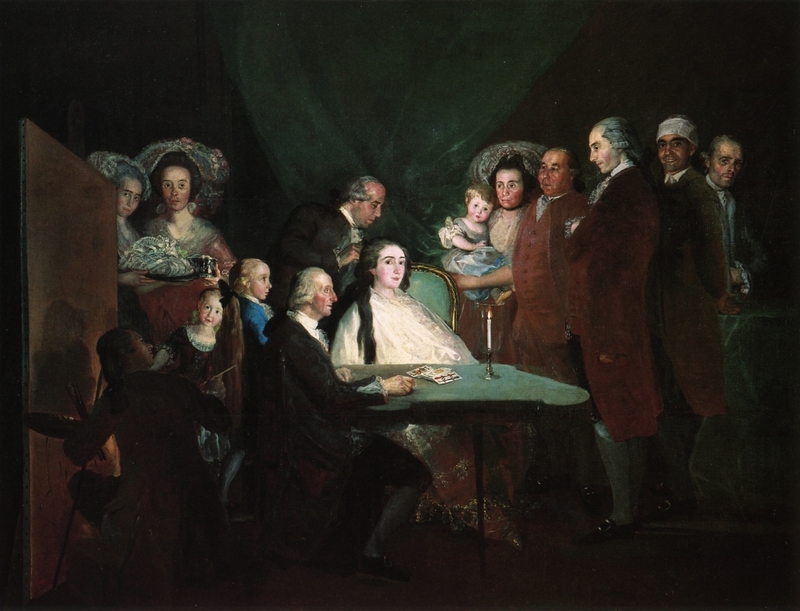 The Family of the Infante Don Luis (1784, Fondazione Magnani Rocca, Parma, Italy)—the brother of King Charles III—which features 14 figures, including Goya, who depicts himself working on a sizeable canvas on an easel. Through his art, Goya sought to describe, catalogue and satirize the breadth of human experience—embracing both its pleasures and discomforts. The artist tackled the nurturing of children, the pride and infirmity of old age, the risks of romantic love, and all types of women—from young beauties to old women. Time (Old Women) (about 1810–12, Palais des Beaux-Arts de Lille). The aged woman is now decayed and diseased, but still clings to her outdated fashions, and is soon to be swept away by the broom of Time. Goya’s tapestry designs frequently depict young people, with relationships between men and women marked by affection, disaffection and tension. presents a young woman who poses under a parasol with her docile lapdog—she seems to ignore her male companion in favor of engaging viewers who would look up at this tapestry, which was meant to hang over a door. 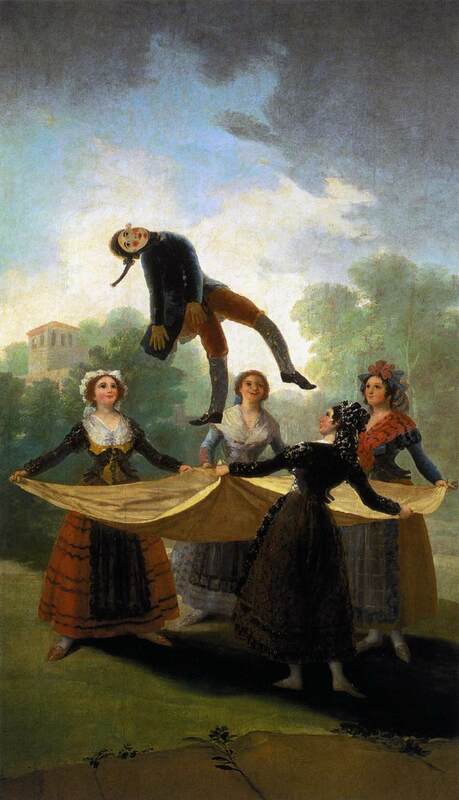 this carnivalesque reversal of class and gender roles is seen in a tapestry (1792–93, Patrimonio Nacional, Spain), as well as two preparatory paintings (1791, Hammer Museum, Los Angeles and Museo Nacional del Prado). A late print, Feminine Absurdity (Disparate femenino) Disparates 1 (1815–17, Fundación Lázaro Galdiano), imparts new meaning to the previously simple image of young women at play, as the women now strain to lift several figures, including a peasant and donkey. This more sinister vein is reflected in many of the subjects the artist returned to later in life, following the devastation of the Peninsular War and its political reversals. “Play and Prey” also explores Goya’s famous images of men engaging in hunting (his own favorite pastime) and the bullfight. 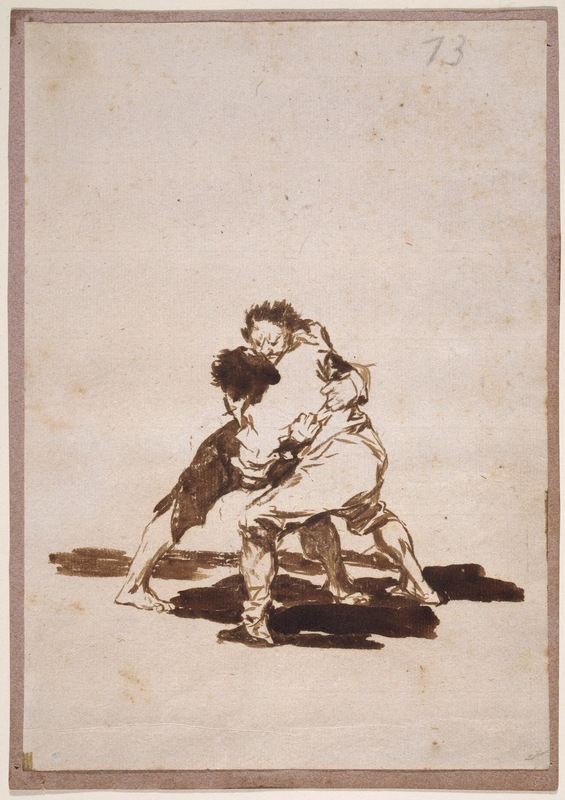 In these works, including examples from the series of prints, the Tauromaquia and the Bulls of Bordeaux, Goya celebrates both activities while also subtly portraying their darker sides. The Agility and Audacity of Juanito Apiñani in the Ring at Madrid (Ligereza y atrevimiento de Juanito Apiñani en la de Madrid (Tauromaquia 20) (1815–16) depicts a precarious matador, who is poised midair as he vaults over a charging bull, anchored only by his upright pole. shown together for the first time since the early 19th century, are superb examples of his aristocratic portraits and illustrate two of his most important patrons. 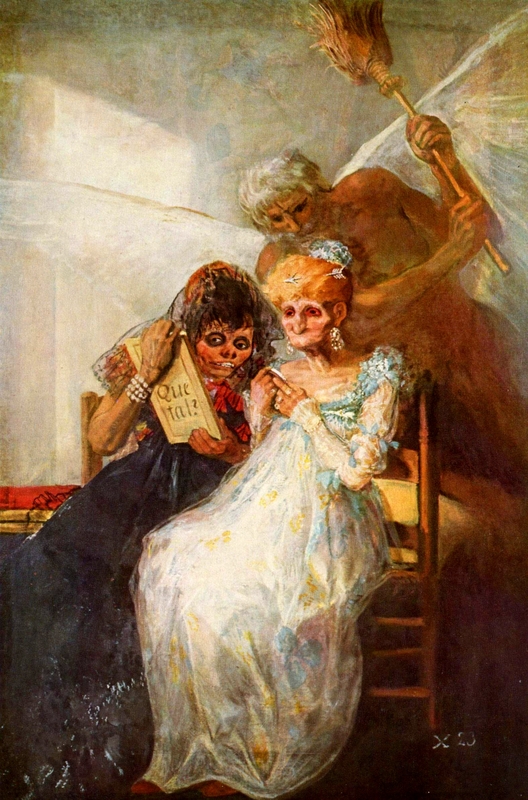 In the Duchess of Alba, the darkly clothed sitter points a finger to the ground, where the words “Solo Goya” are written in the sand. The assertion that only Goya was worthy of this commission and that only he could have pulled off such a dramatic likeness, changes the painting’s focus from the aristocrat to the artist. —which shows distressed and helpless lunatics—anticipates a sequence of black crayon drawings made three decades later. 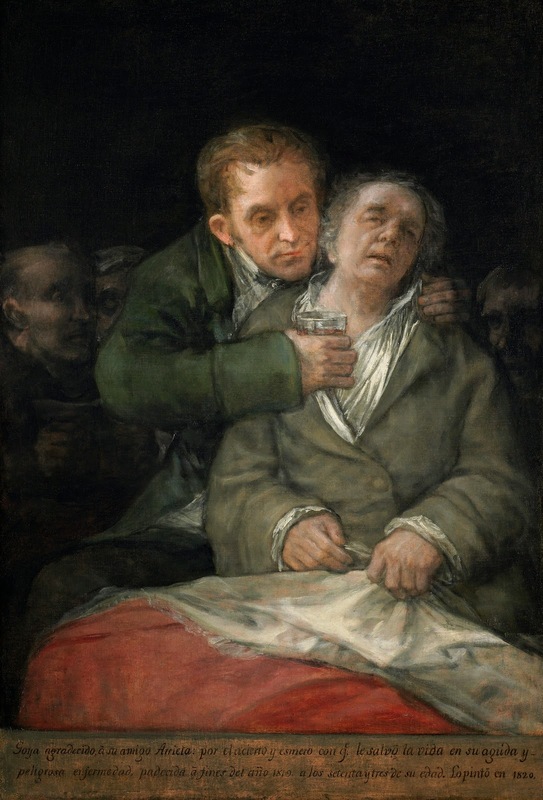 In these later works, the individuals, whom Goya labeled as “locos,” are in even more desperate condition, restrained in straitjackets or trapped behind bars. Also in this gallery, a “learning space” offers additional educational materials and a timeline that provides context and insight into the mind of the Spanish Master. the viewer is only a step or two away from the victims and the advancing bayonets of the print’s aggressors. The work is part of the wrenching print series, Disasters of War, which depict the artist’s thoughts on violence during the Peninsular War that ripped Spain apart from 1808 to 1814. 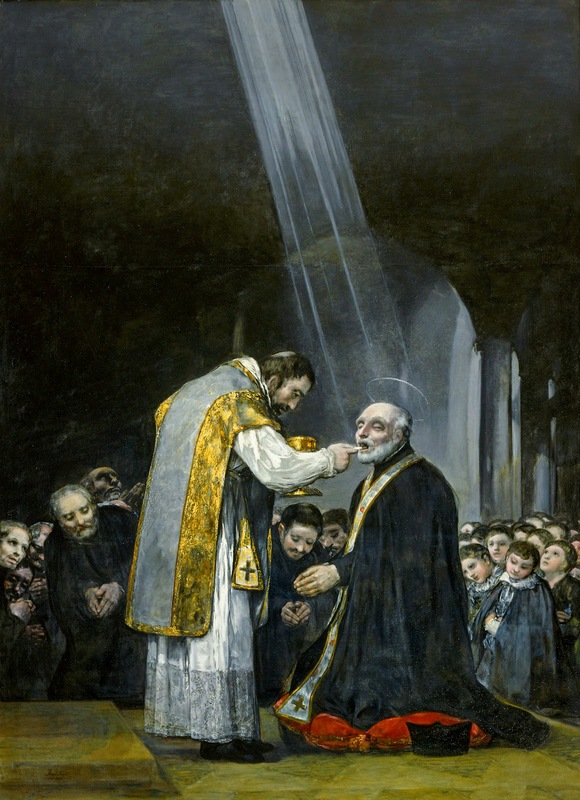 Last Communion of Saint Joseph of Calasanz (1819, Collection of the Padres Escolapios). The altarpiece depicts Joseph of Calasanz, from Goya’s home region of Aragón, who founded the order of the Padres Escolapios (Piarists) to educate poor children. 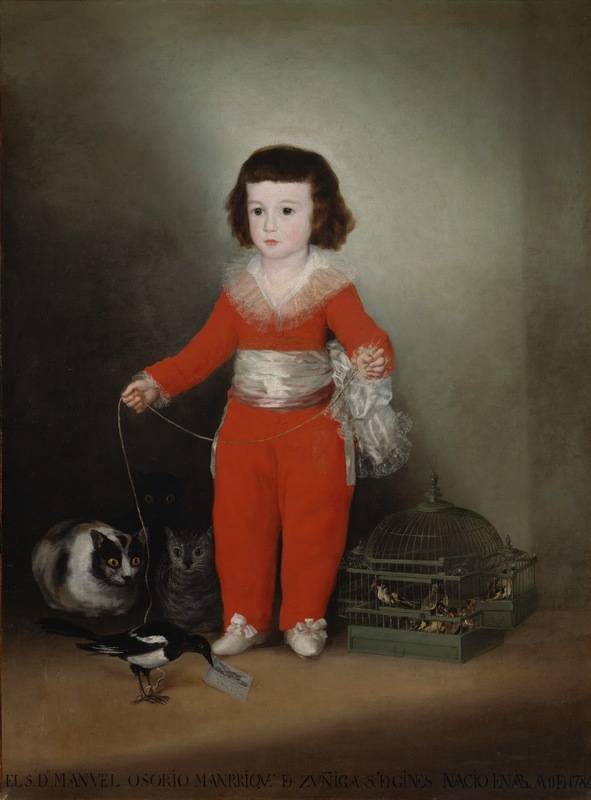 Goya may have attended one of the order’s schools, known as the Escuelas Pías, and might have felt a personal connection to the protagonist of the painting—his final major religious work—which comes to the US for the first time in this exhibition. One of Goya’s most resonant themes addresses the problem with power, embodied by a central character: the giant. 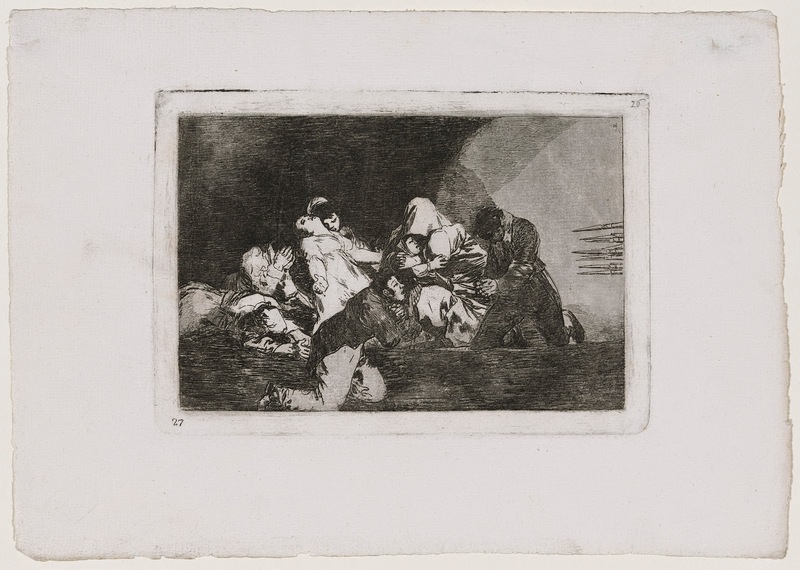 Conditioned by the events of his day, particularly the sudden rise and fall of military and institutional fortunes, Goya explores how power is not necessarily inherent, but comes with a cost. 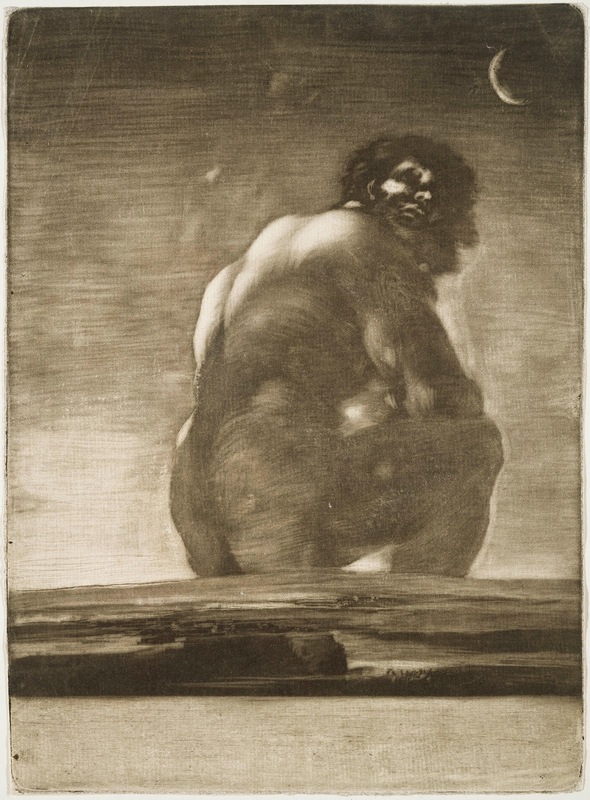 Goya’s Seated Giant (by 1818), from the MFA’s renowned collection of Goya prints and drawings, is among the most enigmatic and compelling of the artist’s graphic works, depicting a looming figure immobilized by the burden of power. 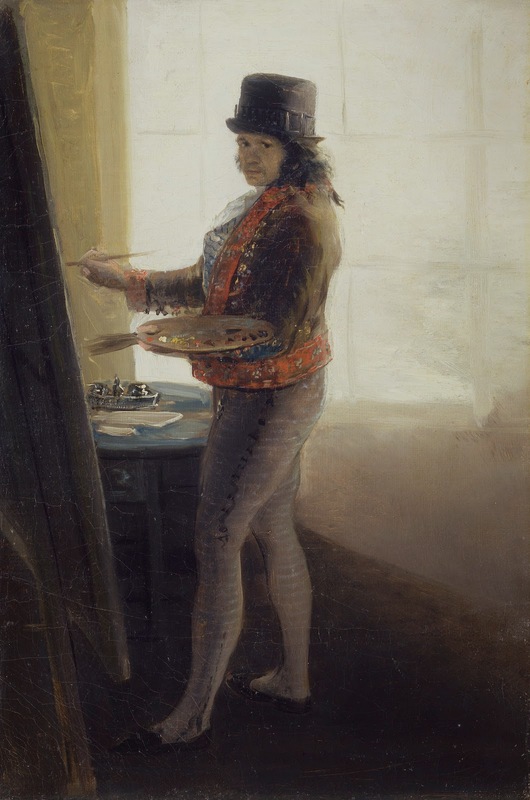 While no single work can epitomize an artist’s achievement, this figure embodies the grandest of Goya’s great themes. and the drawing of Two Men Fighting (1812–20) were part of Sayre’s bequest to the MFA after she passed away in 2001. MFA members will be the first to see Goya: Order and Disorder during Member Preview Days, October 7–11. Members always visit free and never need a ticket to see the MFA’s collections and exhibitions. For more information on membership, please go tomfa.org/membership/levels-and-benefits. 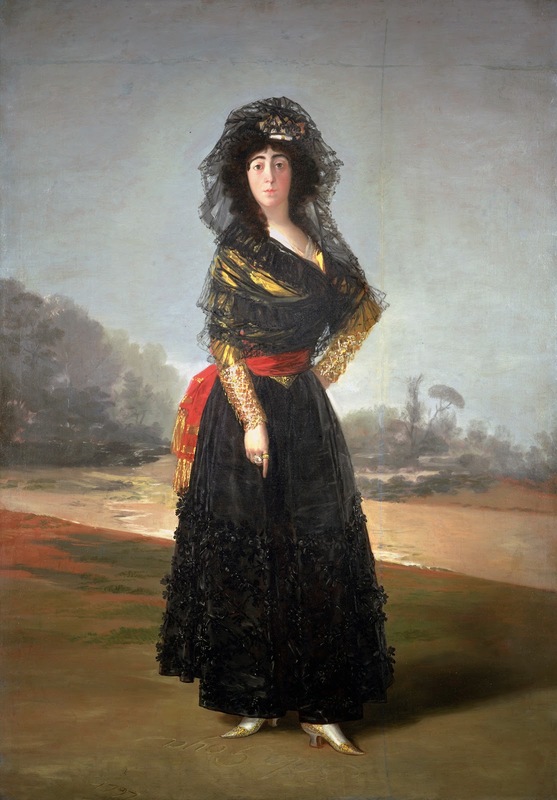 Visitors can learn more about Goya and the art of Spain with a number of fall lectures and courses at the MFA. 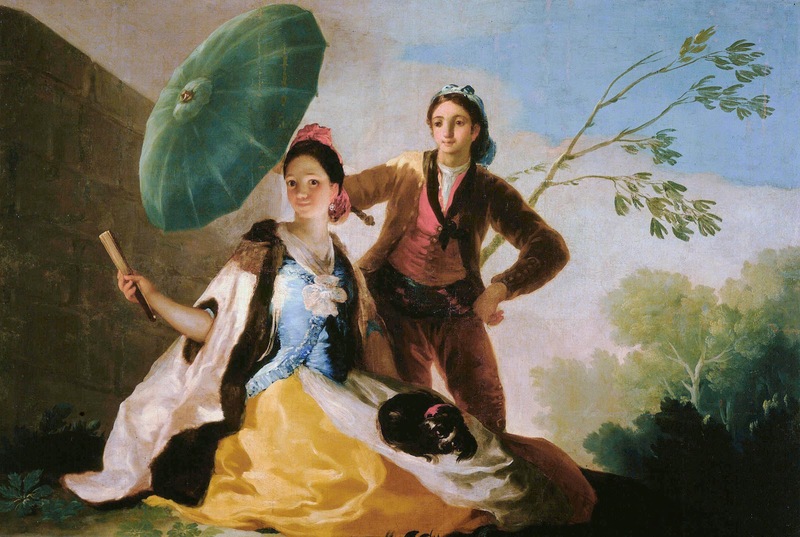 From October through December, a diverse 10-week course features curators, scholars and performers exploring Spanish art and culture from the medieval era through the early 20th century. The Barbara and Burton Stern Lecture on Sunday, December 7, offers Reflections on Goya’s Drawings with Manuela Mena Marqués (chief, 18th-century paintings conservation and Goya, Museo Nacional del Prado). On Sunday, December 14, visitors can experience two 18th-century powerhouses when the music of Ludwig van Beethoven, performed by New England Conservatory faculty and students, is joined by projections of works by Goya. The MFA’s newest program, Remix, will include a tour of Goya: Order and Disorder with MFA curator Frederick Ilchman before sampling Spanish wines and tapas on October 24. Additionally, an array of “Looking Together” sessions—in-depth, interactive gallery experiences—offers insight into Goya, Spanish art and the Museum’s collection with MFA educators. The exhibition is accompanied by the publication Goya: Order and Disorder (MFA Publications; 2014), which is the first consideration of Goya’s works in all media through a non-chronological, thematic approach. Written by MFA curators Frederick Ilchman and Stephanie Loeb Stepanek and world-renowned Goya expert Janis A. Tomlinson, with contributions by Clifford S. Ackley, Jane E. Braun, Manuela B. Mena Marqués, Gudrun Maurer, Elisabetta Polidori, Sue Welsh Reed, Benjamin Weiss and Juliet Wilson-Bareau, the 400-page book includes 260 color illustrations and is available in hardcover ($65).